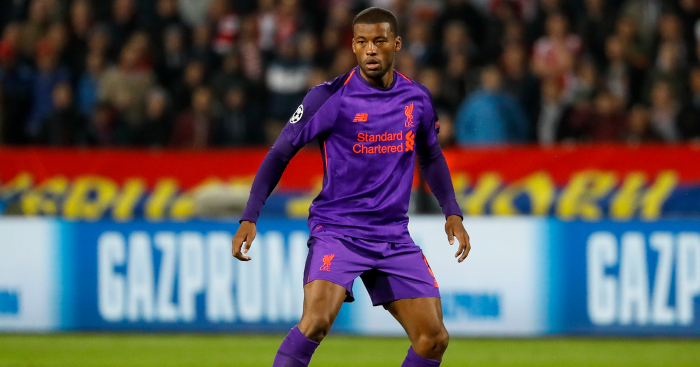 Liverpool‘s midfield is beginning to come under scrutiny after the Reds suffered a shock 2-0 defeat at Red Star Belgrade in the Champions League. The area was expected to be a strength this term after being bolstered by the additions of Naby Keita, Fabinho and Xherdan Shaqiri, but Jurgen Klopp is yet to settle on his preferred midfield three. We’ve compared the 2018-19 Premier League stats of the seven contenders for the positions – Keita, Fabinho, Shaqiri, James Milner, Jordan Henderson, Adam Lallana and Georginio Wijnaldum – to see where the strengths and weakness may be. It should be noted that Shaqiri and Lallana have also operated as part of a front three, thus their stats may be slightly skewed. Of the seven options Klopp has used in central midfield this term, only three have provided a goal or assist in the Premier League. 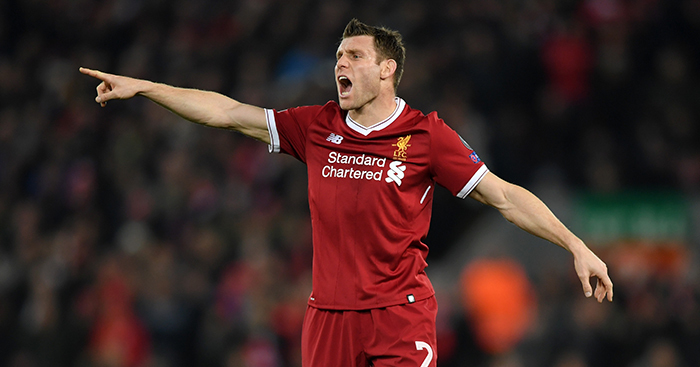 Milner leads the way with two goals and two assists at a rate of a goal or assist every 193.3 minutes. Shaqiri has scored once and provided two assists, albeit at a much quicker rate of one every 75.3 minutes. Wijnaldum, meanwhile, has scored once in his 925 minutes of league football. Henderson, Fabinho, Keita and Lallana are yet to trouble either statistic. As we often point out, focusing solely on assists is not necessarily a fair reflection of how creative players are. Chances can be created but missed, as can be seen in the case of Lallana, who creates an average of 1.7 chances per 90 minutes – the third most among the seven players. Shaqiri leads the way with 2.4 per 90, while Milner is just ahead of Lallana with 1.7. Fabinho comes in fourth with 0.9, while Henderson (0.6), Keita (0.6) and Wijnaldum (0.5) all have similar records. It should perhaps comes as no surprise then that the least creative players actually have the best passing accuracy, suggesting they attempt the least risky options. Wijnaldum is the best in this regard, completing 91.9% of his passes, with Henderson (89.4%) and Keita (87.4%) not far behind. The fact Shaqiri has the worst passing accuracy at 82.8% further supports this theory, with Lallana (83.9%) and Milner (85.4%) also potentially suffering slightly in their attempts to create chances. It should be noted, however, that Fabinho is the second worst in this record, completing 83.2% of his passes. With Alex Oxlade-Chamberlain missing for the majority of the season, one of Jurgen Klopp’s challenges has been to inject an element of dynamism into his midfield, with the likes of Milner, Henderson and Wijnaldum renowned more for their industry. Indeed, the trio complete some of the fewest dribbles per 90 minutes of the seven players. Milner, in fact, completes the fewest with 0.3, while Henderson, Wijnaldum, Fabinho and, perhaps surprisingly, Shaqiri all completing 0.4. Keita is an improvement at one per 90 minutes, while Lallana completes the most with 1.4 per 90 and is one of only two players, alongside Fabinho, with a 100% success rate. Shaqiri’s low placing comes as even more of a surprise when it is taken into context that he attempts the joint most with Keita, but is only successful with 20% of his attempted dribbles – the lowest of the group. Klopp’s high-intensity football famously demands a lot of his players on both sides of the ball, meaning his midfielders have a big workload on their hands in every game. In his few Premier League appearances so far, Fabinho averages the most completed tackles per 90 minutes with 3.1, while Lallana (2.7), Milner (2.6), Keita (2.5) and Henderson (2.4) all record similar numbers. There is then a big gap to Shaqiri, who averages 1.2 per 90 minutes, while Wijnaldum somewhat surprisingly completes the fewest with 1.1 per 90. It should, however, be pointed out that Lallana actually has the worst success rate with 57.4%, and Shaqiri has the best with 100%. In terms of interceptions, Milner makes the most with 1.6, with Lallana (1.4) and Fabinho (1.3) close behind. Henderson and Keita both make 0.8 per 90, with Wijnaldum (0.6) and Shaqiri (0.4) again making up the bottom two.